We provide exceptional quality electrical solutions to a broad range of domestic, commercial and industrial clients. Contact the G.J. Coverley Electrical Services team for an obligation-free quotation today. We provide end-to-end residential electrical solutions for both new and existing homes. Our commercial and industrial electrical services are completed with a focus on quality. Our industrial works include the design and installation for your factory and workshop buildings. We’re firm believers in quality workmanship. Each job is completed to the highest quality standards. G.J. Coverley Electrical Services is a leading electrical solutions company, with over 32 years experience providing exceptional electrical solutions to a broad range of residential, commercial and industrial clients – right across Perth. G.J. 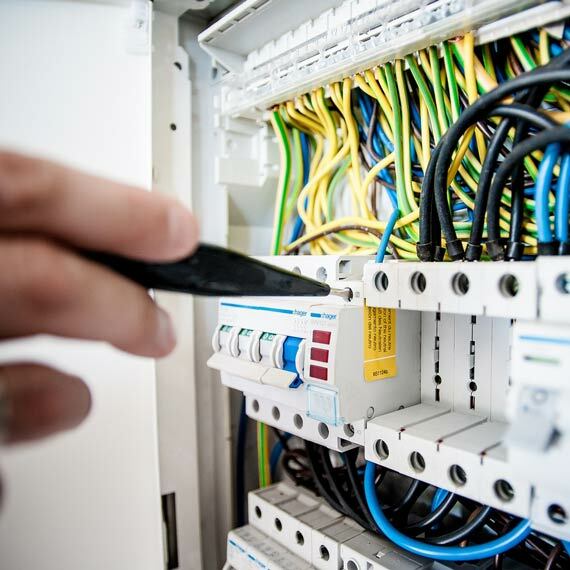 Coverley Electrical Services specialises in complete residential electrical works, right through to commercial and industrial electrical works. From installing new power points and LED downlights, to installing complex electrical systems in office fitouts – G.J. Coverley Electrical Services have you covered. We provide complete electrical solutions and services. The pay off from all the hard work!